Guest DJ Angela Meade: Hitting The Big Time With Help From Verdi : Deceptive Cadence To mark the bicentennial of Giuseppe Verdi's birth, one of today's preeminent sopranos spins her favorite music by the master opera composer. 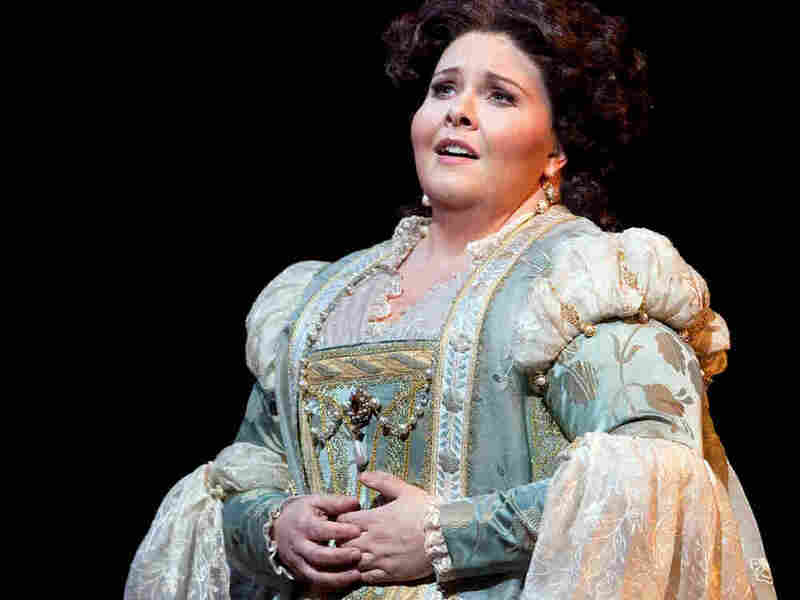 Soprano Angela Meade's career rocketed after she made her professional debut as Elvira in Verdi's Ernani at New York's Metropolitan Opera. Most opera singers work their way to the big league by singing bit parts in regional opera houses. Not soprano Angela Meade. She landed on top instantly with her professional debut in the lead soprano role of Giuseppe Verdi's Ernani at New York's Metropolitan Opera in 2008. It was a dream come true. The star soprano took ill and the understudy, Meade, was suddenly shoved into the spotlight. The press said she sang "like an old pro from start to finish." As Meade's career catapulted, she proceeded to add Verdi roles to her repertoire. Last season she sang in Il trovatore, I lombardi, I vespri siciliani and the Requiem. In December she'll be back at the Met in Falstaff. If you think of it in terms of clothing, Verdi's music seems tailor-made for Meade's large, beautiful and extraordinarily agile voice. 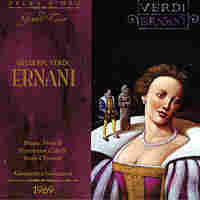 These days, she is considered one of the preeminent Verdi singers. So to help mark the 200th anniversary of the composer's birth, we invited Meade into our studio to spin a few of her favorite Verdi recordings and comment on them. She chose classic divas, like Maria Callas and Montserrat Caballé, plus some deep tracks from underappreciated early Verdi operas. "[Ernani] was my step onto the professional scene — my Met debut, but my professional debut all in one evening. This is the very end of the opera. It's in the fourth act. Elvira comes screaming back onto stage, screaming 'Ferma,' which means to stop. Ernani has said, 'Fine, I will go ahead and stab myself,' and he raises the knife to do it and she runs in and says says, 'No, stop. What are you doing? We're both going to die if you do this because I'll have to kill myself because I love you so much.' It is the tragic ending." "It's actually one of my favorites. And it's really sad that it doesn't get done more often because it's great music. The part [Lucrezia] is very difficult. She's very histrionic the entire time and her music really shows that." "He wrote it for Paris Opera, and from what I've read it wasn't a huge hit the first time around. And then he rewrote it in Italian some years later. I made my Vienna Staatsoper debut in this role, and I found that I really, really love the music. 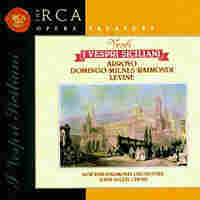 I think it's very reminiscent of a lot of the early Verdi, but it's late Verdi, actually. You can really feel the growth that Verdi has gone through." 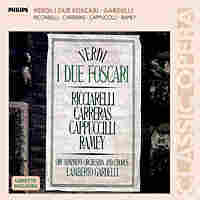 "It might actually be my favorite, favorite Verdi. It's really emotional, too, especially something like the fourth act. It's just heart-wrenching, what's going on, and it's hard to not sometimes get swept away in that and let myself become overcome with what I'm talking about and singing about. 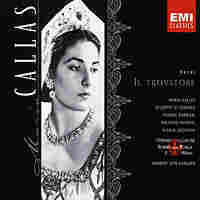 [Maria Callas] exemplifies emotion through her singing. I feel like when she's singing she's really fully committed to what she's saying and what she's feeling. It's the way she takes breaths, and the way she ends notes and breathes in, and you can just feel her pain." 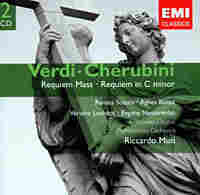 "It's one of the most beautiful melodies, I think, that Verdi wrote. It's brought back to the church tradition of chant. [Desdemona] invokes the prayer on no tone really at all, and then she launches into this really beautiful melody. And your heart is just there with her." "[For the soprano] it's kind of a whole opera unto herself in the last movement. It goes on for 15 minutes. It's the only movement that's specifically for just one voice and the chorus. So she's praying that when her final moment comes that she will be granted peace. She wants to be liberated from what's going on. 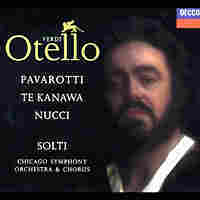 I chose this recording of Renata Scotto, who's another person like Callas, she really digs into the words. You can really hear her begging for mercy and for forgiveness and for peace."